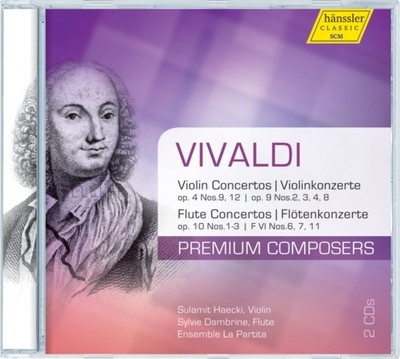 In this sixth release in the "Premium Composers" series, we meet the master of the Baroque Concerto, the "Red Priest," Antonio Vivaldi. The current program features an enchanting selection of the master's most beloved concertos for flute and violin, including "La Notte" and selections from his op. 4 collection, "La Stravaganza".